Square Footage 1985 sq. ft. PERFECT FOR A GALLERY OR DESIGN/IT START UP WITH GALLERY OR LARGE COMMERCIAL STUDIO WITH STREET FRONT GALLERY. MINIMUM 12 MONTH (Preference to 3-5 year lease). NO INDUSTRIAL PROCESSES ARE ALLOWABLE IN THIS SPACE DUE TO VENTILATION AND WATER SEWER LIMITATIONS. 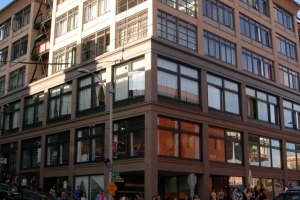 The Tashiro Kaplan is a one stop center for visual art and other cultural activities, especially during the monthly First Thursday Artwalk in Pioneer Square. Along with huge crowds, the venues in the building play host to both planned and impromptu arts events and happenings. The commercial portions of the building are open for First Thursday Art Walk from 5-9pm each month. Galleries set regular hours and the working studios are often available by appointment (individual studio hours are up to each tenant and must be obtained from them). 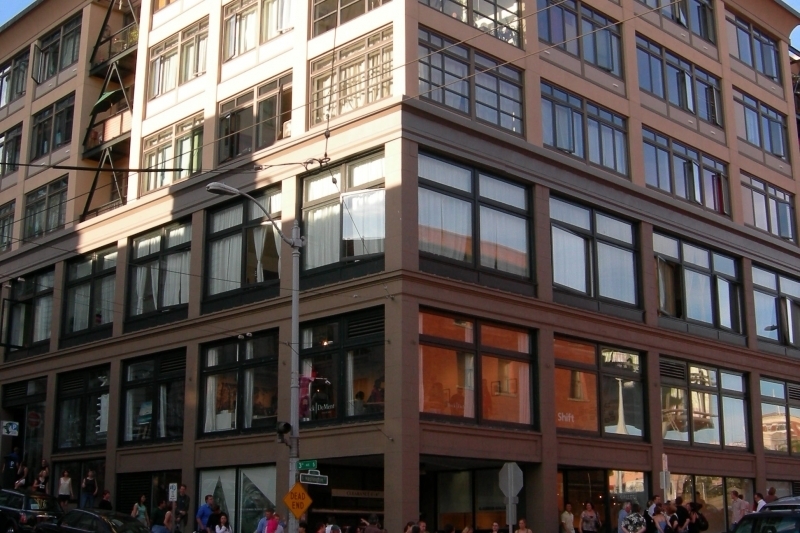 Current tenants have 24 hour access to their work spaces.